Kathleen DeLawrence, COO, came to Ability Prosthetics and Orthotics with over 20 years of pharmaceutical industry background. This includes strategic planning and operational management knowledge, as well as product launch and merger integration experience across small, mid-size, and large companies. 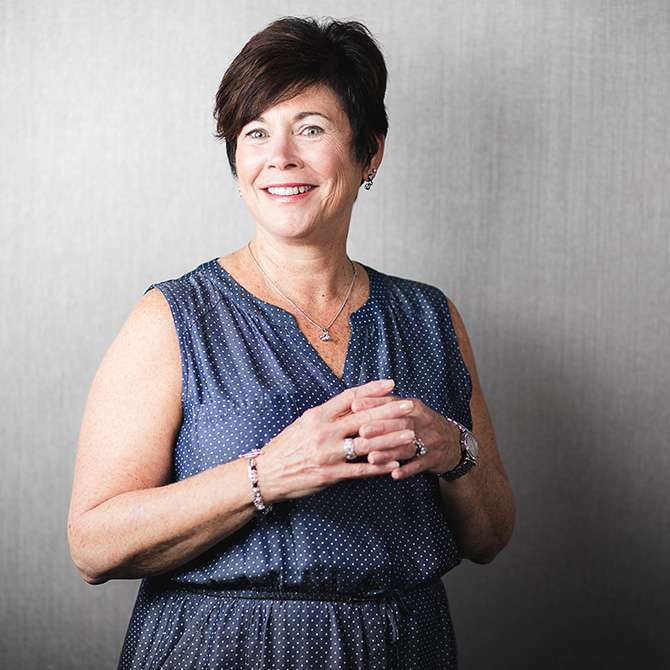 Before coming to Ability, Kathleen parlayed her deep operational business and startup acumen into a strategic consulting practice focused on entrepreneurial businesses in the healthcare and life sciences market. She brings her cross-discipline experience to Ability, which includes a wide range of consulting and corporate management assignments. Kathleen was the chief operating officer for Prism Pharmaceuticals where she was responsible for business operations and the functional areas of manufacturing, supply chain, marketing, and commercial operations in this role. Prior to Prism, Kathleen was the vice president and general manager of Dover Communications, a privately owned medical education company, where she led business operations, sales delivery, and financial reporting. AstraMerck is where she started her pharmaceutical career after a few years in business strategy consulting with Pricewaterhouse. Kathleen still dabbles in consulting with entrepreneurs to fulfill a personal passion of sharing her learnings.